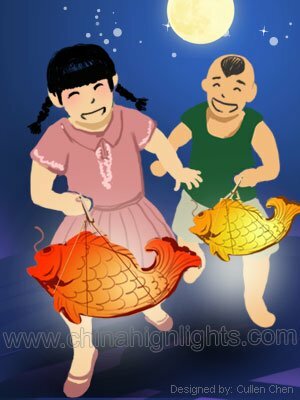 In China, food for the Mid-Autumn Festival emphasizes the season&apos;s harvest, such as pumpkin, taro, hairy crabs, and auspicious round foods including mooncakes. Chinese people believe seasonal food is the most delicious and the healthiest, so seasonal delicacies are favored for the Mid-Autumn Festival. Food with a round shape, meaning unity and togetherness, such as a mooncakes, usually represents good wishes and happiness. 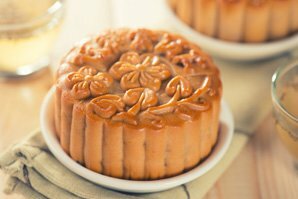 Mooncake is the most popular and important food eaten during the Mid-Autumn Festival. Various types of mooncakes are placed in the most prominent places in stores and markets as the festival approaches. Mooncakes are traditionally Chinese pastries consisting of a thin, tender skin enveloping a sweet, dense filling. Mooncakes used to be made at home, but very few people make them at home nowadays. 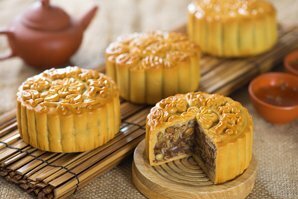 The traditional fillings include lotus seed paste, sweet bean paste, and egg yolk; however, mooncakes with modern flavors, such as ice cream and chocolate, have appeared in recent years. Duck is the second most common food after mooncakes in the Mid-Autumn Festival. 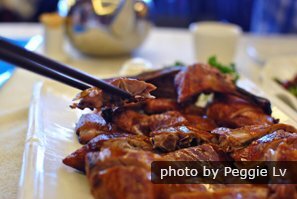 Chinese people believe that eating duck in autumn can expel pathogenic heat from their body to keep the balance between yin and yang, thus to enhance health. Different regions in China have different methods for cooking duck. The most ordinary dish is fried duck with tender ginger. There are also many other popular dishes for specific regions. Osmanthus duck is a must-eat food in East China&apos;s Jiangsu Province, while in West China&apos;s Sichuan Province, people enjoy smoke-baked duck. 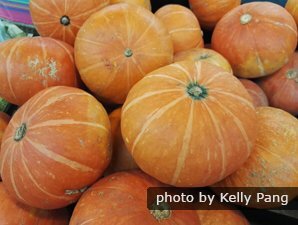 People living to the south of the Yangtze River have the tradition of eating pumpkin during the Mid-Autumn Festival because it&apos;s the mature season for pumpkins. 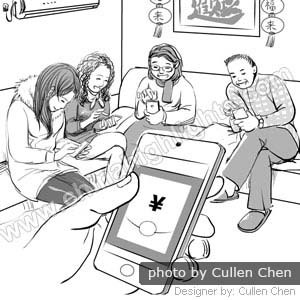 Chinese people believe that seasonal food is the freshest. Eating pumpkin on the night of the Mid-Autumn Festival is believed to bring people good health due to a pumpkin&apos;s round shape and golden appearance. 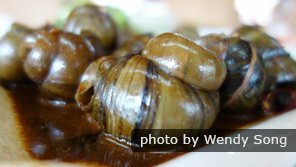 For Cantonese people, river snails are an indispensable food during the Mid-Autumn Festival. It&apos;s the best time for eating river snails. Eating river snails is believed to help brighten the eyes. River snails are usually cooked with medicinal herbs to dispel their unpleasant odor. Taro usually ripens around the time of the Mid-Autumn Festival. People love its fresh and soft texture. One of the most popular taro dishes in China is deep-fried sugared taro. The taro is cut into small pieces and deep-fried, then covered in syrup. It&apos;s always a popular dish for people with a sweet tooth. Eating taro during the Mid-Autumn Festival is believed to dispel bad luck and bring good luck and wealth. The tradition began during the Qing Dynasty (1644–1912). Drinking wine fermented with osmanthus flowers has a long history in China. Chinese people began to drink this type of wine over 2,000 years ago. This wine may be preferred because the Mid-Autumn Festival is held when the osmanthus flowers are in full bloom. Drinking the wine signifies family reunions and a happy life. Eating hairy crab has become a popular delicacy for the Mid-Autumn Festival in recent years. 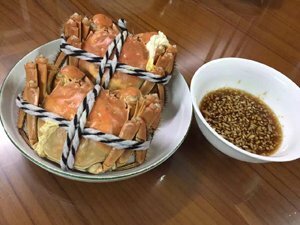 In September and October, hairy crabs are at their best, being richest in protein and amino acids. 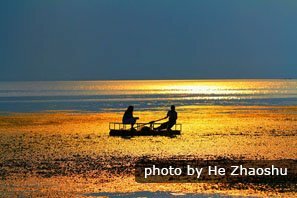 The custom of eating hairy crabs originated from Jiangsu and Zhejiang provinces, which have numerous rivers and lakes. Now the custom prevails throughout southern China.